Get ready for real fun with our electric powered ATVs for kids. 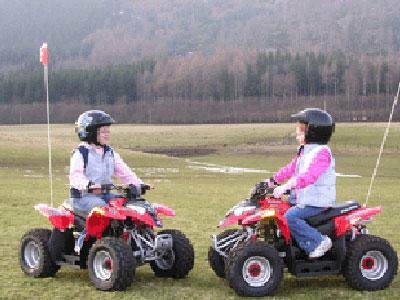 We offer a variety of childs Quad choices, for ages between 3-10 and beyond. Our Electric-powered ATVs offer full suspensions, are very affordable, super fun and a great way for kids to learn to ride. ORION XLT 500-Watt - 36-volt - Kids Electric 4-Wheeler Sport-Utility ATV - FREE SHIPPING- Perfect for Girls & Boys! Rugged Suspension! FREE MX Riding Gloves! FREE MX Goggles!! Kicker Electric Go Kart - 1000 Peak Watts - 48 Volts - Speeds to 17mph! Calif Legal!Fast Free Shipping! Free Gloves & Goggles! Kicker Warrior 350-Watt - 24-Volt Kids Electric Quad - Awesome Price! 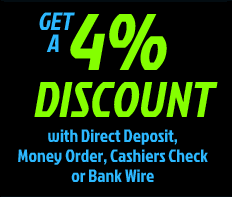 Real Tires, Best Price!